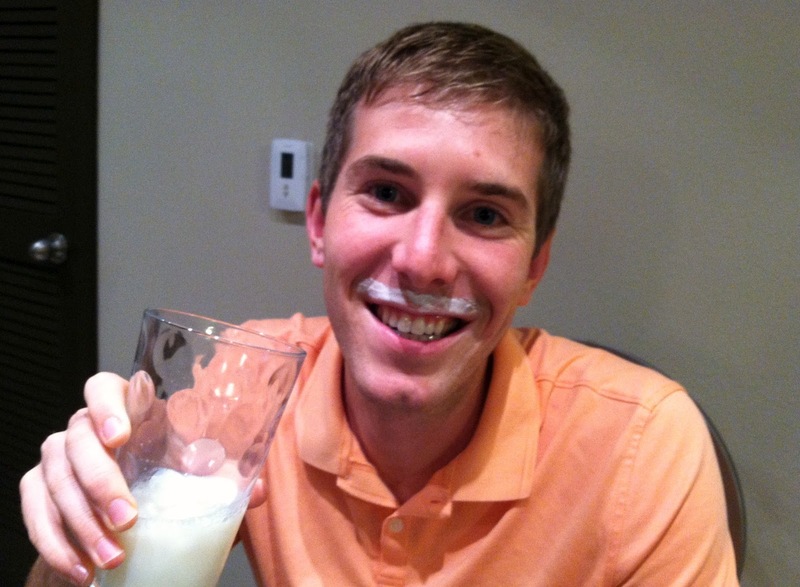 I grew up on dairy. My morning routine was watching Saved By the Bell, eating cereal, and finishing the milk left in the bowl. Lunch included a ham and cheese sandwich and a glass of milk nearly every day, and family time was always topped off with a bowl of ice cream while watching T.V. (If I knew then what I know now about ice cream i would not have eaten so much...better late than never!) I even married a dairy farmer's daughter. I fell in love with the farm fresh milk and it turned out Meghan is pretty great too! I get really upset and offended when people talk poorly about dairy and dairy farmers. The public questions the role of dairy in their diet because of stories about inhumane treatment of animals, hormones, and disgusting farms which are the minority. A SMALL MINORITY. These headlines grab your attention; that is why the media tells those stories--to make headlines. It is a shame that a few bad apples have to try and ruin dairy for the whole bunch. The majority of farmers take great care of their animals, dairy products are tested religiously (and dumped if they don't make the cut), and farms have LOTS of land for animals to roam. 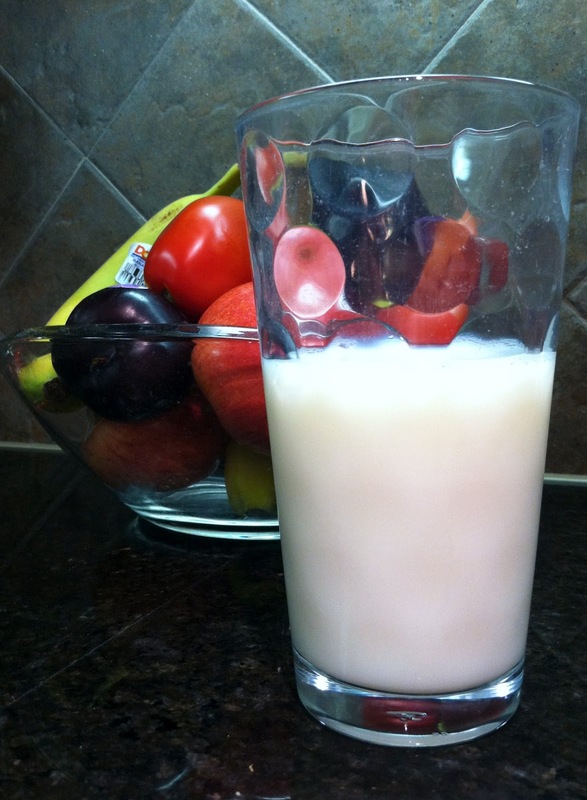 Milk- Enjoy low-fat or skim milk in a glass, a smoothie, or at the end of the cereal bowl. Cottage Cheese- Low-fat cottage cheese with fresh fruit is a great snack or side. I have even heard about people eating it with pepper....yet to try that one personally. Greek Yogurt- My new favorite this year. Fat-free plain Greek yogurt especially with fruit, cinnamon, granola, or nuts. 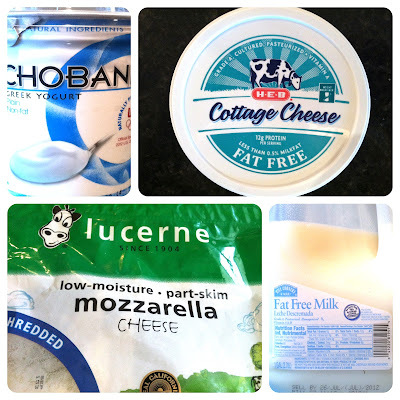 Mozzarella Cheese- Made with part skim, low-fat mozzarella is lower in calories and saturated fat than other cheeses. I continue to drink milk daily. 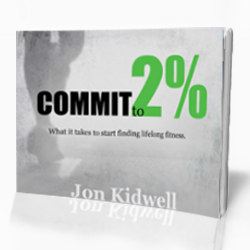 Dairy will remain a staple in my diet because I know the nutritional benefits it gives me. Plus, I LOVE THEM. 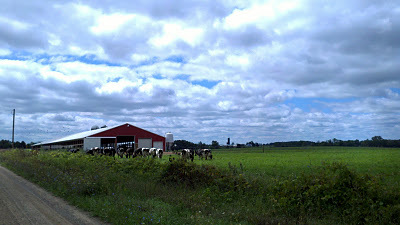 I cannot wait to go back to Michigan and have some farm fresh milk...Mmmm!!! Check out Truth or Dairy by Carla Wardin for great info about dairy and life on the farm. I would like to thank Saved By the Bell for being on at 7:00am throughout my high school career! Mmhmm. Try this one with Greek yogurt. Scoop one serving in a bowl and put it in the freezer for 15-20 minutes. Take it out and stir it up. It will be a bit thicker like ice cream. Top with your favorite fruit or a few dark chocolate chips. DELICIOUS!! I really need to try that cottage cheese and pepper now that you said it was your fave.